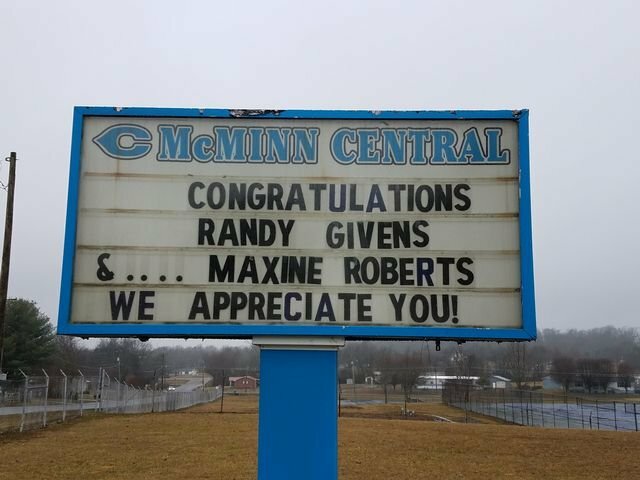 Central High School of McMinn County: Highlights - Congratulations Randy and Maxine! Congratulations to Randy and Maxine! They're both hardworking Chargers with a great sense of humor and have a friendly rivalry. Randy is best known as Central's fix-it man, especially when it comes to the roof and air conditioning. Maxine is the commander and chief (chef) of the cafeteria. Due to their tireless dedication, they are being honored today at the "Heart of the Program" Banquet. Congratulations to you both!